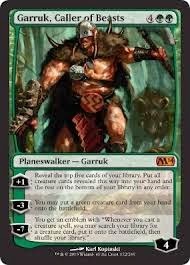 Originally when Planeswalkers where planned for Future Sight, Tarmogoyf was removed to make room for the green planeswalker slot. 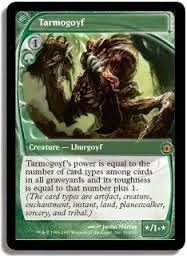 After the removal of the planeswalkers from Future Sight in development, Tarmogoyf was re-added to the set where, due to lack of written information by Mark Rosewater, it was changed from the original 3G mana cost for a */* creature to a 1G mana cost for a */1+* creature. At the time, this new card type of "planeswalker" was referenced in the original reminder text for Tarmogoyf.